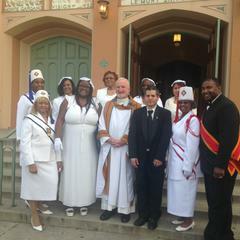 Council and Court #400 are domiciled at St. Michael's Parish located at 1016 W. Manchester Avenue, Los Angeles, CA. 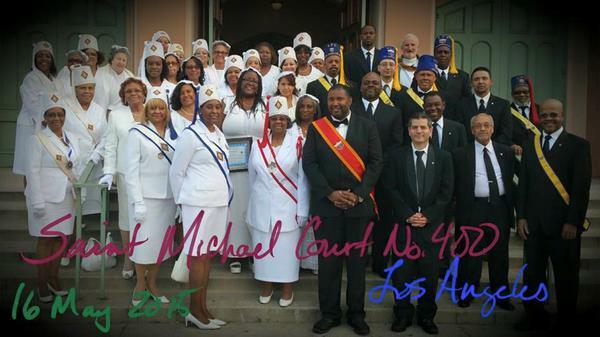 St. Michael's Council #400 was established on March 21, 2015. Court #400 was established on May 16, 2015. First Grand Knight of Council #400 is Brother Jose Sandoval. First Grand Lady of Court #400 is Lady Tracey Palacios. 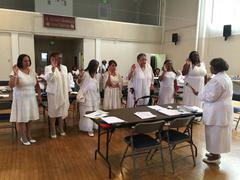 Ladies Auxiliary members (Charter Members) initiated on May 16, 2015 as part of the new Court #400 include Ladies LaVerne Andrews, Rosa Sandoval, Bernice Chapman, Evette Martinez, Jean Robinson, Gabrielle Dancy, Latonya Hendricks-Carter, Monica Mallet, Ofelia Martinez, Roxanna Martinez, Carmen Velarde, and Tracey Palacio. 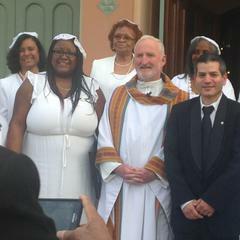 Ladies Carolyn Winston and Chelsea Sykes were initiated into St. Brigid Court #259; Ladies Trudie Abraham and Alaina Pratt-Tshimanga were initiated into St. Bernadette Court #162, and Lady Demetries Walton-Bell was initiated into St. Albert the Great Court #306 as part of these establishment ceremonies. Most Esteemed Supreme Lady Vertelle Kenion presided over the establishment.